Extremely slim design! Accurate in the tightest machining conditions. If areas of the workpiece are hard to reach and conventional clamping systems come up against their limits, TRIBOS-S polygonal toolholders are the answer, due to their extremely slim design. The optimal permanent run-out and repeat accuracy of < 0.003 mm ensures a more even cutting action and thus improves the tool life by four times over. - Extremely slim design. 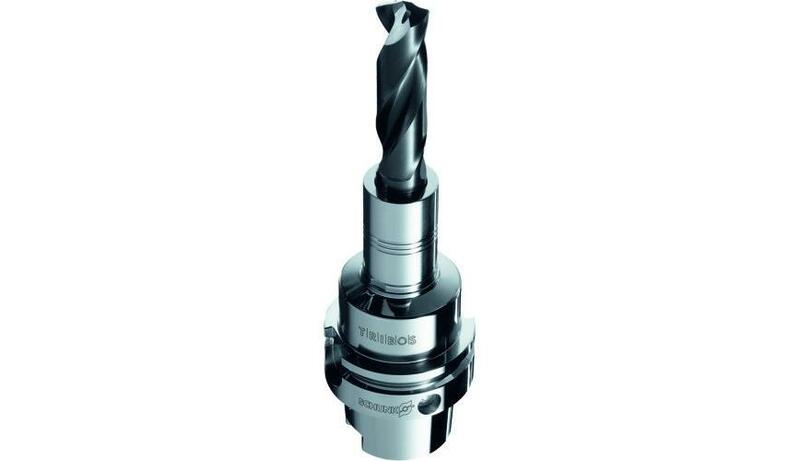 Enable precise cutting applications in hard-to-reach workpiece areas. - Exact axial length preadjustment - Precision balanced as standard with a balancing grade G2,5 at 25,000 rpm. Prevents the machine spindle from damage.